I woke up Day 7 not feeling too hot. 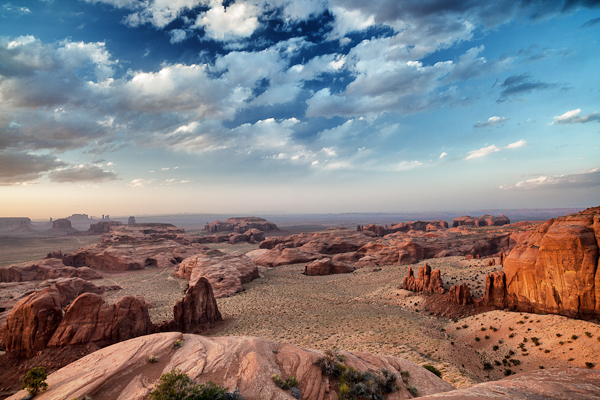 Despite having a great time with the guys of Dreamland Safari Tours visiting White Pocket and Cottonwood Cove and then touring through the Grand Staircase-Escalante area I was starting to feel run down. Too much sun and not enough rest. We slept in a bit as the drive from Page to Monument Valley is only 2.5 hours. Still when we did hit the road I ended up having Mr. Misadventures drive for about an hour so I could take a little nap. Oh, why was I doing the driving? Easy, I don’t trust my husband when he is in “photography mode!” He is looking for shots instead of paying attention to the road, so I become the designated driver and he can direct me when to stop and when to go. This way we are both happy (and safe)! In any case, our activity for the day was a sunset photography tour that would have us in place to take photos of the valley as the sun vanished on the horizon. We arrived in Monument Valley which sits on the Navajo Nation land and picnicked in the car while we waited to check into our hotel on the reservation. Our spot for the night was The View Hotel which is basically the only hotel on the reservation. You are basically paying for the view, the rooms are decent enough but I found the rate to be on the expensive side. Also there is no place to eat except for the restaurant on property unless you bring your own food (which we did). But, the view is spectacular…normally, there were already fires in Colorado that had begun and smoke was causing a general haze in the sky. Here is the view from our room. In reality everyone has a view as all the rooms face the same side. 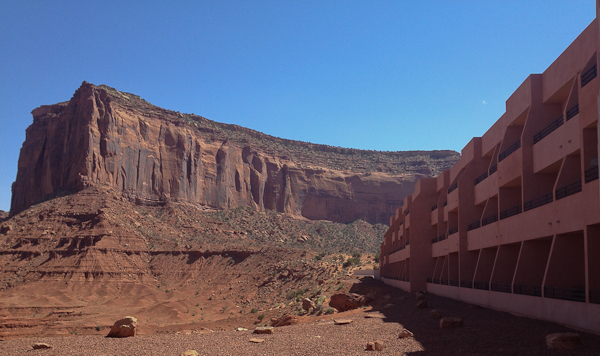 The View Hotel in Monument Valley – all rooms have a view! In the late afternoon we met our guide Brian from Monument Valley Safari tour company who would be taking us on a 7-hour tour up to Hunts Mesa in order to capture this incredible valley. 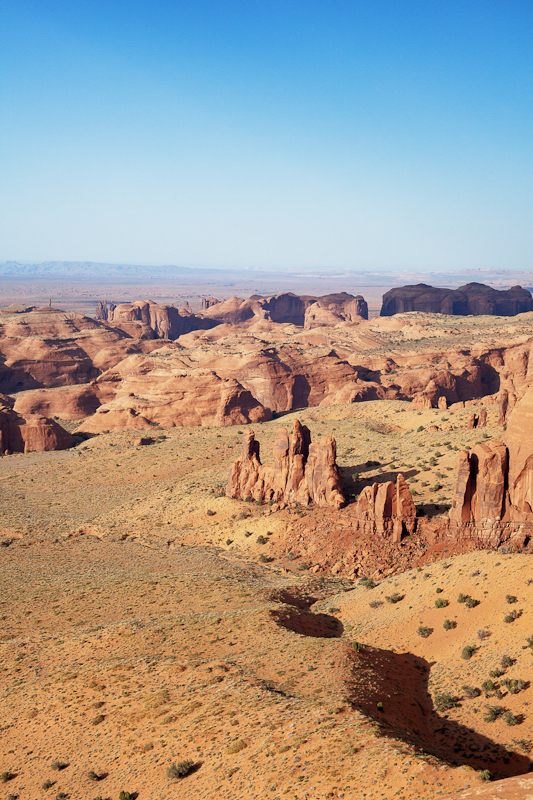 The only way to access this spot is by hiring a guide and in reality, much like when we drove to White Pocket, you need a heavy-duty 4×4 and serious knowledge of the area to get around. On the drive up we had a great time getting to know about Brian, the reservation and Indian culture overall. He was full of stories and facts and data and I cannot recommend him enough as a guide. He was there working the summer season to earn money for his next adventures in life. He had already been a Marine serving in Iraq and was studying to be a nurse in San Diego. 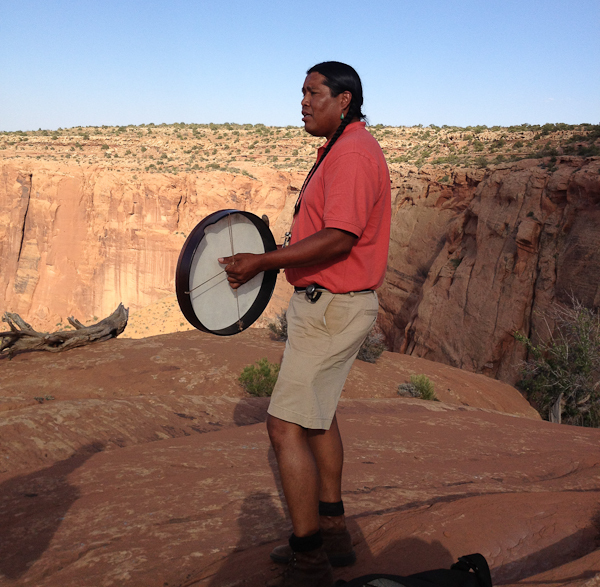 He had lived both on and off the reservation and was an excellent source of info. Above all he was an excellent driver, the roads were very treacherous and I felt safe, if not a little bounced around! But it was all worth it when we got to the top and waited for the sunset. Here is what it looked like when we first arrived. Brian decided to entertain us with a few songs and brought out a traditional instrument and shared some tune and more stories. Brian from Monument Valley Tours sings a few songs. If I thought the ride up was harry, the ride home in the dark was a whole other experience! I am amazed that Brian would do that drive over and over because at the end of my little excursion my nerves were shot! Having not been in top form all day, I skipped dinner and went right to bed when we returned to the hotel! The next morning we would be leaving to head to Moab. > There aren’t that many options for lodging in the immediate area and only one on reservation. > Food options are equally as meager with your only choice being the restaurant in the hotel and some fast food spots outside. > There are 18 companies that run tours in Monument Valley…do your homework, read reviews, do your research. We had a wonderful experience with Monument Valley Safari and if you read some of their reviews you will see that Brian is mentioned a lot (we actually didn’t make a specific guide request, we just got lucky!). > Bring water with you on your tour (and snacks if needed) there is none provided. How about you? 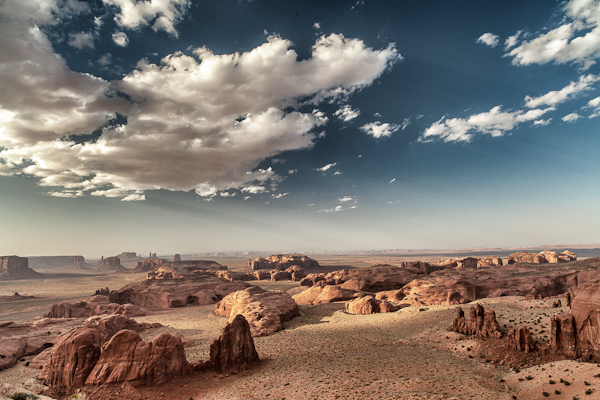 Have you visited Monument Valley and have any tips? There is something so spiritual about that first photo, no wonder people visit this part of the country for retreat. I am almost always in photography mode, so I relate. This is probably my favorite of all the pat in this series. Love the pic of the Native American. @Jen, I have been so tired of writing this series that I forgot to even write something that I had planned about this spot and which you picked up on – I am not a spiritual person, but I felt spiritual in this spot. Pat???? It’s the iPad’s fault! Post! Those photos are definitely postcard worthy! And I’d say that the View Hotel has quite the appropriate name!! 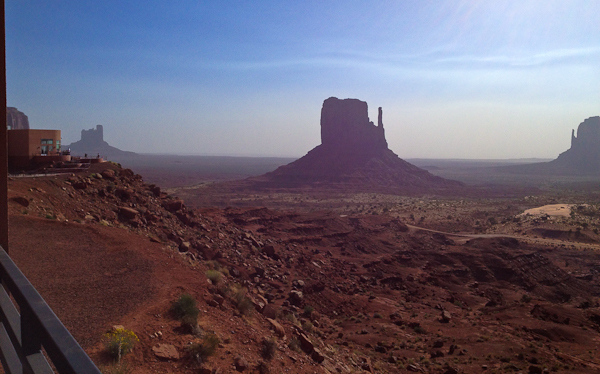 Monument Valley is amazing. I visited it twice with my parents when they visited and both times we made it a point to go to Monument Valley, because it’s such a unique experience. We have nothing like this in Europe! @San, it was an unexpected surprise and experience and you are right, it is pretty unique to the US.